You must be a member of the Istanbul Motorcyclists Group to attend this activity. Would you like to join this group? Although it's tough to ride long distances in winter time nothing can hold bikers back from gathering in a biker's hang out and have a few drinks. 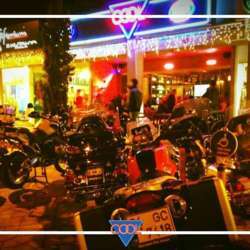 Come join us in Cool Jr., Istanbuls only remaining biker's pub and join the pack before riding season starts. Hope to see all motorcycling enthusiasts there on the 23rd.